ABSTRACT: A revised set of propositions about ecology in arid Australia is presented, based on research literature since publication of Stafford Smith and Morton (1990). Fourteen propositions distil our argument that most features of the Australian deserts are explicable in terms of two dominant physical and climatic elements: rainfall variability, leading to extended droughts and occasional flooding rains; and widespread nutrient poverty. Different landscapes within the arid zone show these features to varying degrees, and so it is important to think about different places separately when considering our propositions. Plant life-histories strongly reflect temporal patterns of soil moisture; because Australian deserts receive more variable rainfall than most others, there is a distinctive spectrum of life-histories. Low levels of phosphorus (together with abundant soil moisture on irregular occasions) favour plants producing a relative excess of carbohydrate (C). In turn, C-rich plant products sometimes lead to fire-prone ecosystems, assemblages dominated by consumers of sap and other C-based products, and abundant detritivores (particularly termites). Fluctuations in production due to variable rainfall provide openings for consumers with opportunistic life-histories, including inhabitants of extensive but ephemeral rivers and lakes. Most consumer species exhibit some dietary flexibility or utilise more dependable resources; these strategies give rise to greater stability in species dynamics and composition of assemblages than might first be imagined under the variable rainfall regime. Aboriginal people have had long-standing ecological influence as they accessed resources. For each proposition we suggest the extent to which it is ‘different’, ‘accentuated’ or ‘universal’ in comparison with other deserts of the world, recognising that this categorisation is in need of critical testing. Further tests of each proposition are also suggested to fill the many gaps that still exist in our knowledge of the structure and functioning of Australia’s deserts. 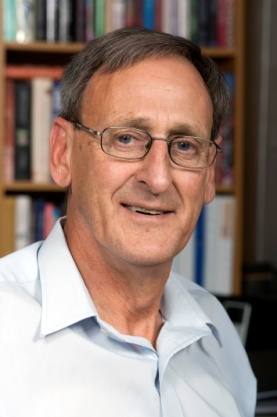 BIO: Steve is an Honorary Fellow with CSIRO in Alice Springs. He was educated at the University of Melbourne before undertaking postdoctoral work at the University of California, Irvine and the University of Sydney. He worked for some years in the wet-dry tropics of the Top End with the Office of the Supervising Scientist, and then joined CSIRO in Alice Springs to work in the desert environment that has been the major focus of his ecological work. Subsequently he spent ten years in the leadership of CSIRO as a Chief of Division and member of the Executive Team, working from Canberra and Melbourne. After retirement from full-time employment in 2011 he returned to live in Alice Springs. From here he serves on a variety of boards and committees relating to environmental and natural resource management and continues to think and write about ecology, mostly to do with the Australian deserts. For enquiries and appointments with the guest speaker, please email Kate Buchanan.